The DDS12188MS from Contactum's 'Defender' range, is a fully loaded, dual 80amp RCD 12 Way Consumer Unit. It offers fully flexible High Integrity configuration allowing for any number of MCBs on each RCD and RCBO protected ways on the main switch. 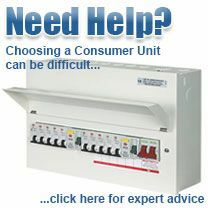 The MCBs supplied with the consumer unit are 3 x 6a, 2 x 16a, 4 x 32a, 1 x 40a - but this may be changed if required. "The fully loaded DDS12188MS from Contactum is a superb solution for most domestic situations up to four bedroom properties. 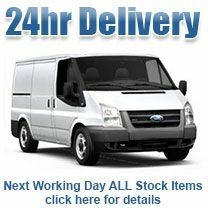 The price represents excellent value for money offering a totally flexible configuration. This means that any number of MCBs can be protected by each 80a RCD. Furthermore the high integrity unit allows for RCBO protected ways on the main switch - in essence offering a third bank for your mission critical circuits."